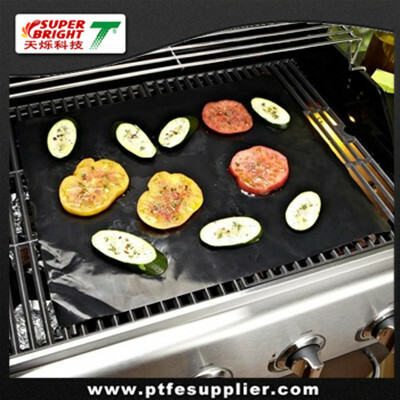 Oven Liner taking the advantage of the non stick and heat resistance of ptfe with the strength and dimensional stability of fiberglass, our PTFE Grill Oven Liner is a timer saver, a drip blocker, a crumb cather, a spill protector. Just place our Oven liner on the bottom of the oven to protect it against splashes, messy drips, fat, burnt-on sugar, burnt-on juices and burnt-on oven messes, and on need to clean the bottom of oven again. Lay the oven liner on the bottom of ovens to protect the bottom from splash. the non stick sheet slides beneath your ovens bottom is used for catching all the messy drips from pies. reusable oven liner with a100%non-stick surface you days of scrubbing the oven floor are definitely over. The PTFE Grill Oven Liner can be used for years on either side. 3).Never put the Oven liner on the floor of the oven, but always on the bottom rack!